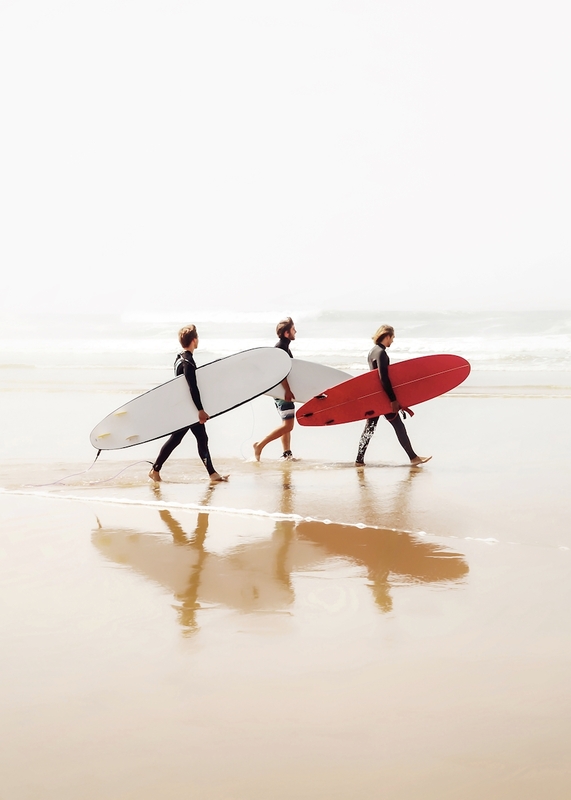 Muted colours and a pop of strong red is in this frame, three surfers walking out to the ocean. The muted colours make it very easy to style on a photowall but at the same time stand out beautifully on its own with the powerful red. It would look good in a living room or a bedroom.